Source & Format: Paperback, bought from Waterstones. Six of Crows is a masterpiece and brilliantly written at that. Six of Crows by Leigh Bardugo is one of my favorite reads of this year. From the outstanding diversity of the characters to the sensational world building and magic that goes into this world, I will forever have Ketterdam and The Dregs in my heart. While this was a book that I’ve wanted to read for a while, this was also a book that I needed in my life. I’ve completely fallen in love with the way that Bardugo writes, her prose keeps me attached and drawn into the world that she creates. Six of Crows held me and didn’t let me go until my emotions were destroyed and I needed to know what happened next. Luckily for me, I had the sequel in hand so I could hop right over straight away. The pacing was ideal as well, just when I thought everything was over, something big happened in its place. I LOVED IT. I felt like Six of Crows also had one of the best combinations of world building, characterisation, and plot that I’ve read. I do recommend, however, reading The Grisha Trilogy before reading Six of Crows as your reading experience will be enhanced. Once I’ve finished the Grisha Trilogy myself, I plan on going back to reread this duology to see if I pick up on anything different! The story that this book told was astonishing, keeping me intrigued every step of the way. From the outset, the plot of Six of Crows seemed simple. Break into the Ice Court, retrieve a hostage and survive to collect their reward. I was a fool to think it was going to be that simple. The characters were faced with many obstacles along their journey and it was quite thrilling to read them actually struggle to survive. This book gave me the feeling that any of them could die at any moment, and I liked that. There was no certainty (except for the sequel but shush) and it did seem like at points the characters might actually kill each other. *cough* Nina and Matthias. But also, Kaz would sometimes shock me with his intricate plans and stuff he wouldn’t tell the others? Everything would be going downhill and then suddenly Kaz whips out a surprise on us all. (YES THAT DOES SOUND BAD.) I was clapping for him and the others in shock when they managed to pull something off. BUT THE ENDING. I was confused and in shock, but I still had to give a round of applause. These Characters. I love them all and they’re amazing. My heart has been blessed by being introduced to these six wonderful and diverse characters. Their distinct voices are so lovely and wonderful that if they were my friends IRL, then I’d probably cry. They all support each other but also will kill each other the moment that it becomes profitable to them, and that’s what makes this friendship feel so real. They’re not friends because they like each other (well, mostly), they’re friends because they’re working towards the same goal. Money. 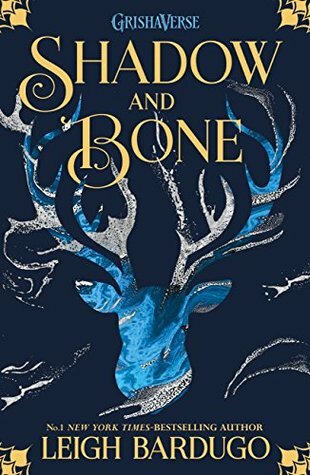 I also loved how well developed the secondary characters were as well, it gave me the feeling that Bardugo made sure that their development was also weaved into the intricate plot as well. Inej Ghafa is so loyal to the rest of them, she is also quite sneaky and can kill you without you knowing. She is so fierce and witty, what she said sometimes shocked me. Inej joined the Dregs after something Kaz did for her long ago. Her work as his wonderous spider had me rooting for her every step of the way. Jesper Fahey is perhaps the character I relate most to. It was so relieving to see a character I could see myself as in Six of Crows, but Jesper also has his own problems too. Struggling with a gambling addiction and playing games with odds, Jesper works with Kaz to pay off his debts. Jesper also is a sharpshooter, and performs excellently well with a gun. Wylan Van Eck is a smol bean and he’s cute. His backstory is probably one that affected me the most, and I felt sorry for him the most. Wylan left home to work with Kaz after almost running in a spot of trouble. Wylan is quite mysterious at first, but once I got to know him, the more I loved him. Nina Zenik is a goddess and a queen. Her love for waffles is like my love for books. Eternal and a will-kill for situation. Nina is a Grisha, someone with magical abilities. More specifically, Nina ia a Heartrender and seeing how adorable yet powerful Nina is brought light to my world. Matthias Helvar, perhaps the most stubborn of the six of them. But, it was still interesting to read his backstory with Nina and why he hated her so much. Also seeing Matthias evolve from who he was at the beginning to the end was my favourite character journey in this book. I can’t decide a favourite though. Too hard. This world is perhaps one of my favourites to explore. Ketterdam is unforgiving, but so is the Ice Court. Between them, I’d rather live in Ketterdam because I think the walls of the Ice Court scare me. UNLESS, Titans (from Attack on Titan) suddenly start appearing out of nowhere then I think I’d feel safe within the walls of the Ice Court. Nevertheless, the world of Six of Crows has been developed beautifully and being introduced to such a world was a thrilling experience. I loved getting to know the many cultures and traditions within Six of Crows but also that there’s a God of Industry and Commerce, how cool is that?! Take my heart Ketterdam, and let me live there. Actually, I might not be able to contain my excitement. Overall, Six of Crows was beautiful and sensational and always worthy of 5 stars. Leigh Bardugo is a #1 New York Times bestselling author of fantasy novels and the creator of the Grishaverse. With over one million copies sold, her Grishaverse spans the Shadow and Bone Trilogy, the Six of Crows Duology, and The Language of Thorns— with more to come. Her short stories can be found in multiple anthologies, including The Best of Tor.com and the Best American Science Fiction & Fantasy. Her other works include Wonder Woman: Warbringer, and the forthcoming Ninth House. Leigh was born in Jerusalem, grew up in Southern California, graduated from Yale University, and has worked in advertising, journalism, and even makeup and special effects. These days, she lives and writes in Los Angeles, where she can occasionally be heard singing with her band. Have you read Six of Crows? If so, gush about your emotions to me! If you haven’t read it, how would you plan your perfect heist? It can be as intricate as you want! I love Six of Crows so much! I wish I had read the Grisha Trilogy beforehand especially due to moments in Crooked Kingdom, but I also didn't mind reading Grisha afterwards, it gave me a little hope for certain characters. SOC was definitely one of my favourite reads of 2017! I'm sooo glad you loved this book! I finally have the duology and now I am more than excited to start this book. Great review! Omg Poulami, I cannot wait for you to read it and experience Ketterdam for the first time! It's something you won't forget. YES, Hannah! I definitely agree with you and it's great to hear that you loved it on the reread too. Definitely can't wait to read the Grisha Trilogy!